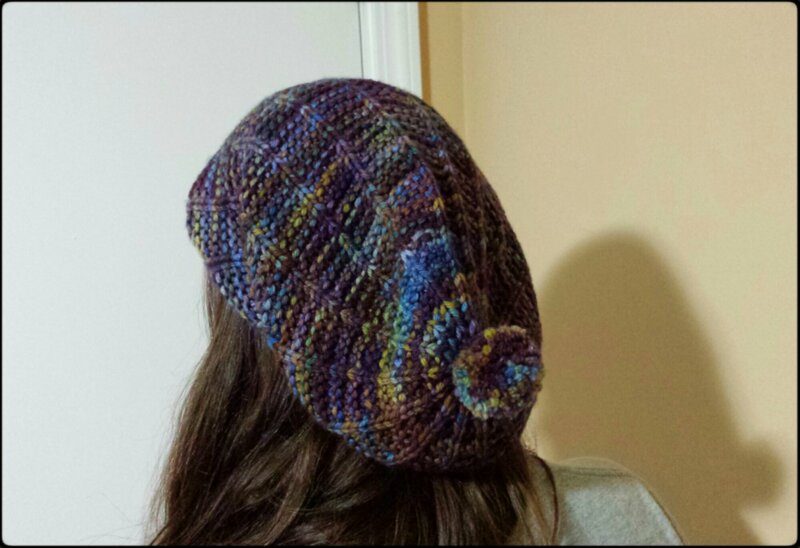 Slouchy Belugah Hat – Complete! 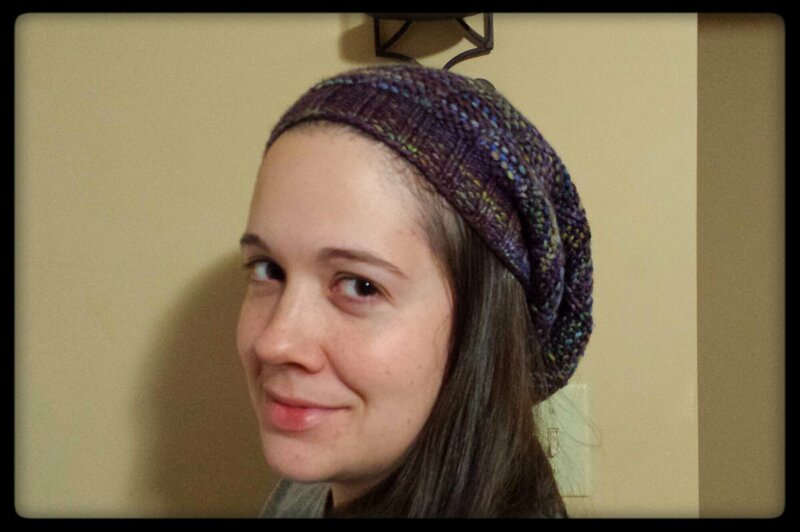 I finally have some pictures to share of the Slouchy Belugah Hat I made for my sister-in-law. I used size 6 and 10 needles and Malabrigo Rios in the “Candombe” colorway. I’m not as in love with this colorway now that it’s knit up and not in hank form. I think I’ll stick to tonals from now on. I wish I could have taken better pictures, but daylight has been waning, and my (reluctant) photographer is only available at night. I think you can get the gist from these, pictures, though. Categories: Knit | Tags: handknit, handmade, hat, knit, knitting, malabrigo, merino | Permalink. 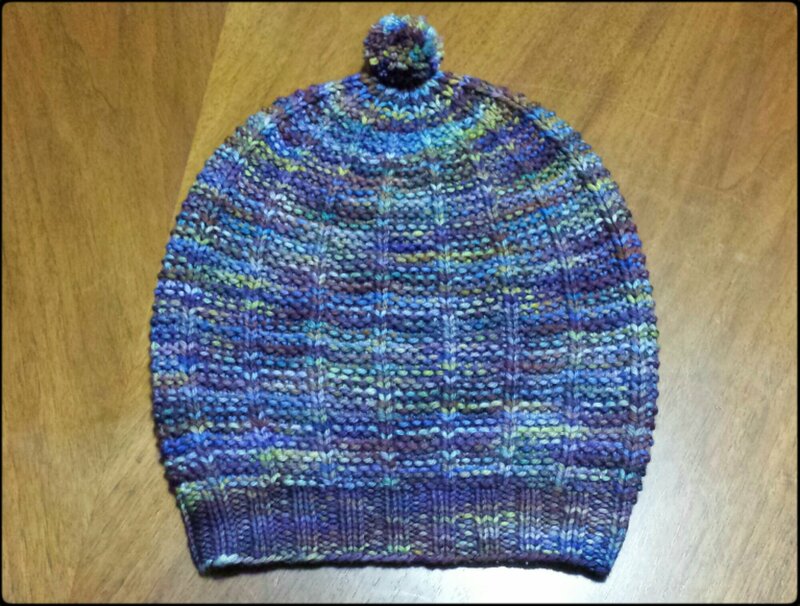 The hat turned out well. 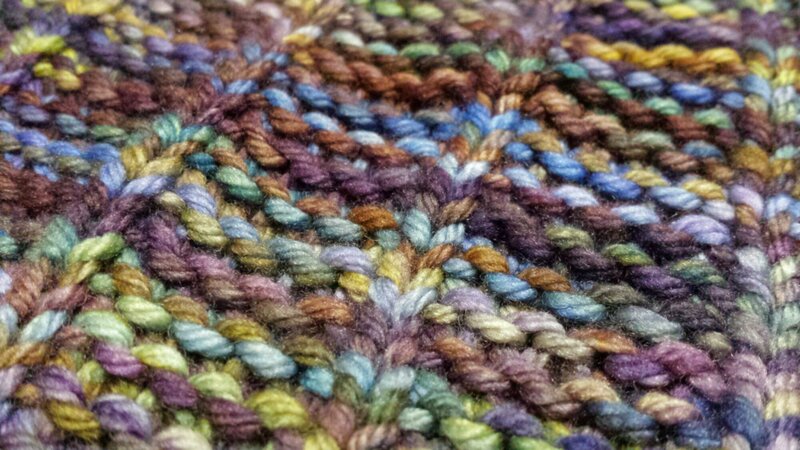 I don’t generally gravitate towards bright colors, but the close-up picture of the yarn is pretty. Are the meds out of your system, yet? My Facebook wall was full of “dog shaming” links earlier today. lol But they WERE amusing. I’m a bright color fiend! I like one bright color at a time, though. No more variegated yarn! I think they’re gone. Yesterday was a blur. I think I’m just a little sleep deprived at this point. It’s hard to get comfortable, and Kirsi hadn’t exactly been accommodating. The surgeon gave me Percocet, which would be nice to take if it didn’t make me sick. I took one a few hours after surgery when the numbing meds wore off, and I swore not to do it again. I can’t eat enough to handle those at the moment. You should be feeling better in a day or so, I’m told. My wisdom teeth never came in so I can’t give you any firsthand advice. As for the sushi…. Yuck! You’re super lucky! From what I hear, eating will be way more comfortable once I’ve healed. Thanks! Malabrigo had since pretty awesome colorways. It looks like it will match with so much! I reckon the colourway looks great on the hat, especially up close. But I do know what you mean about varigated yarn, looks amazing in the hank and is usually disappointing to knit up. I could just collect the hanks I guess and not bother knitting them! Good luck with the teeth. I agree! I occasionally have to remind myself that no matter how pretty a variegated yarn looks in the hank, it’s probably not going to look anywhere near as pretty knit up. Tonals are much more appealing to the eye, in my opinion. Thank you for the kind words. I’m feeling a bit better each day.